Student athletes and coaches from two Columbia winter programs were honored as Times Union All Stars on Monday. Won Suburban Council championship and represented Columbia at the State and Federation Championships as well as the National Scholastic Indoor Championships. 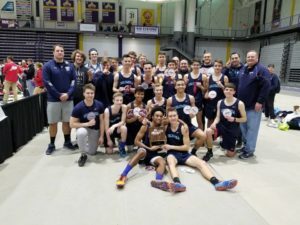 Won the Section II championship, finished 7th at the State and Federation Championships and represented Columbia at the National Scholastic Indoor Championships. 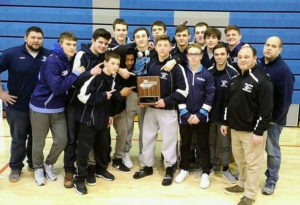 Coached Columbia to first Section II team championship since 1983. Won Section II Class A championship (126 pounds) and placed 4th at the state championships. Finished senior season with a 40-5 overall record and 173 career wins. Earned All-American Status at the NHSCA Nationals. Won Section II Class A championship (152 pounds) and placed 2nd in Section II Championships. Placed 2nd in both the Section II and Class A Championships (160 pounds). Earned All-American Status at the NHSCA Nationals. Coached Columbia to its first Section II Class A championship in program history. Surpassed 300 career wins during the season. Columbia also won the Suburban Council Division Title.